Talk about adding insult to injury. 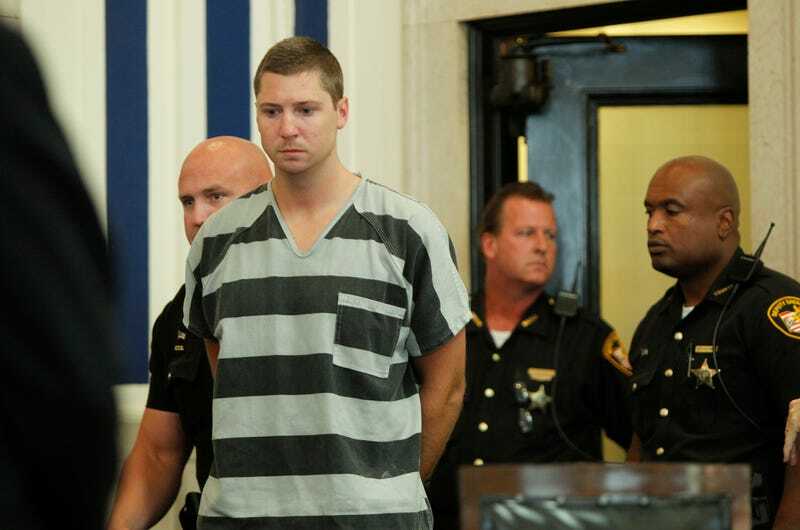 Not only did former University of Cincinnati Police Officer Ray Tensing walk away with zero repercussions after shooting and killing an unarmed black man, but apparently, he’ll be paid handsomely for his trouble after receiving a settlement from the university. According to the Cincinnati Enquirer, Tensing will receive almost $350,000 from the university following the settlement of a grievance the Ohio police union filed on Tensing’s behalf when he was fired after he fatally shot Sam Dubose in July 2015. In exchange for $244,230 of back pay and benefits and $100,000 in legal fees, Tensing resigned and agreed not to file a lawsuit against the university. The settlement left DaShonda Reid, the mother of four of Dubose’s 13 children and his fiancee, furious. Of course, the only person left happy about the settlement is Tensing himself. Healing for whom? Who caused the strife? Who was the one who shot an unarmed man straight in the head, killing him? Once again, we all witness how little black lives matter in this country ... to the point where you’ll be paid—rewarded, even—for killing a man.